Michelin Red Guide 2018 is to be published on 9 February and will be available from online sellers and traditional bookstores. 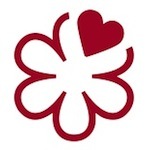 In the meantime you can check with restaurants have stars on the Michelin website: Les restaurants etoiles du guide Michelin 2018. Bon appetit!